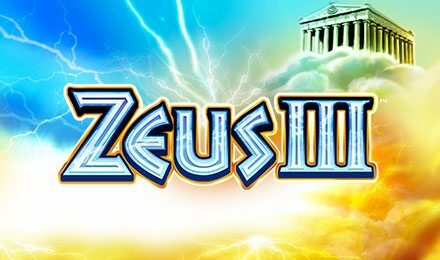 Experience the power of Zeus on Zeus III Slots! This Greek god will keep you entertained with Nudging Wilds during the Base Game and a Free Spins Feature with multipliers! Zeus! The mighty Greek god is back to show his power! The 6 reels and 192 payline slot game is based on the god of the sky and thunder, but not like Thor. The free spins feature is triggered by landing three or more of the Coliseum symbols. Land 3 symbols for 10 free spins. For 25 spins, you’ll get a 10x multiplier and for 50 free spins you’ll receive 50x your stake. In the base game, the grid is flipped over where Zeus will appear and nudge all symbols into Nudging Wilds.